Valentine’s Day is just around the corner! I was feeling creative the other day and decided to make five Valentines that you could print and give out. These were really fun to make and I hope you enjoy them as much as I do. 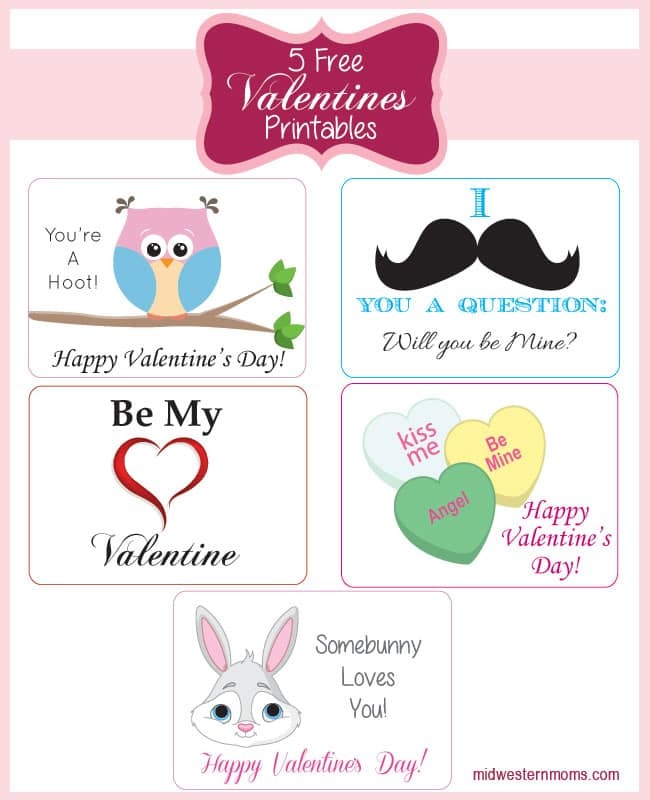 Click on the link below for the Valentines you want to print. This will bring up a pdf file. Print on card stock the number of Valentines you want. Cut your cards out and give to your loved ones. I Mustache You A Question: Will You Be Mine? Let me know what you think. Do you like finding printables? Would you like for me to create more for future holidays or events? Love the printables! My boys like making them for family and friends!